October 31, 2015 Jeff B. It seemed to be the never ending project. The concept was done last year, the demolition this summer. It wound up costing more than our first home, a 3-bedroom, 2-bath structure in Tiburon, California with a view of San Fransisco Bay and melodious tone of the fog horn on the Golden Gate. We’re not sure this is a reflection on that first home, an indication of inflation over a 45-year span, or just how deluxe our new master bathroom has impacted our home. 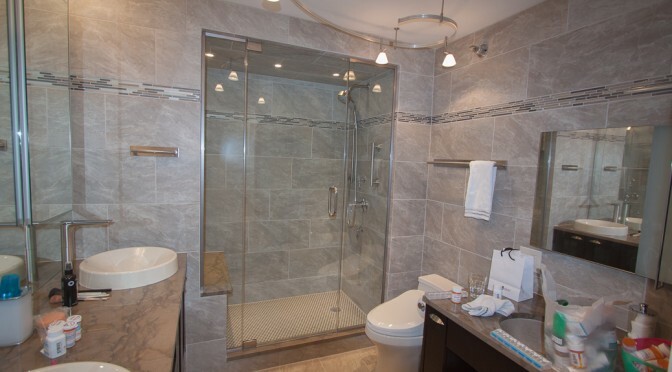 This is just one bathroom and has no view or fog horn, but we feel it has made a tremendous upgrade to our condo unit that we have lived in for almost 20 years. We’ve done projects in the kitchen, dining area, and throughout most of the living areas. We need to do the powder room and other bath, but that will wait until after the beginning of the year. Right now we want to enjoy the new master bath improvement. 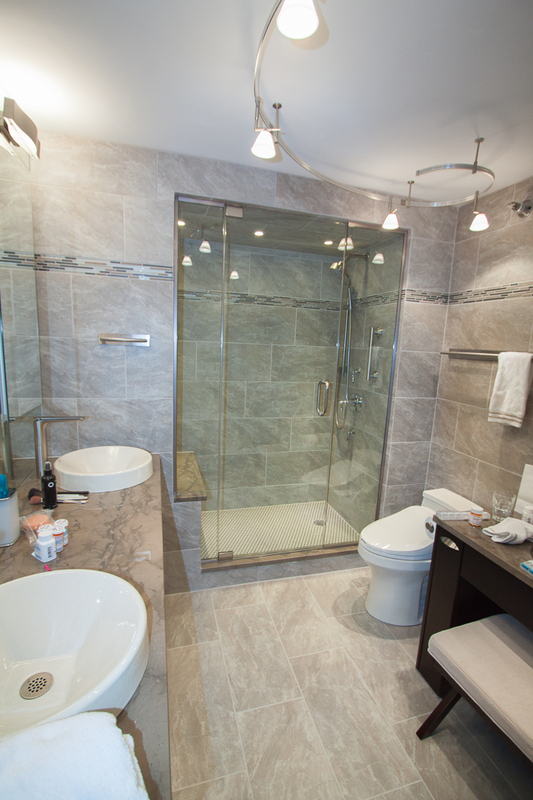 Larger, better lighting, seat, and two shower heads make for a deluxe experience.